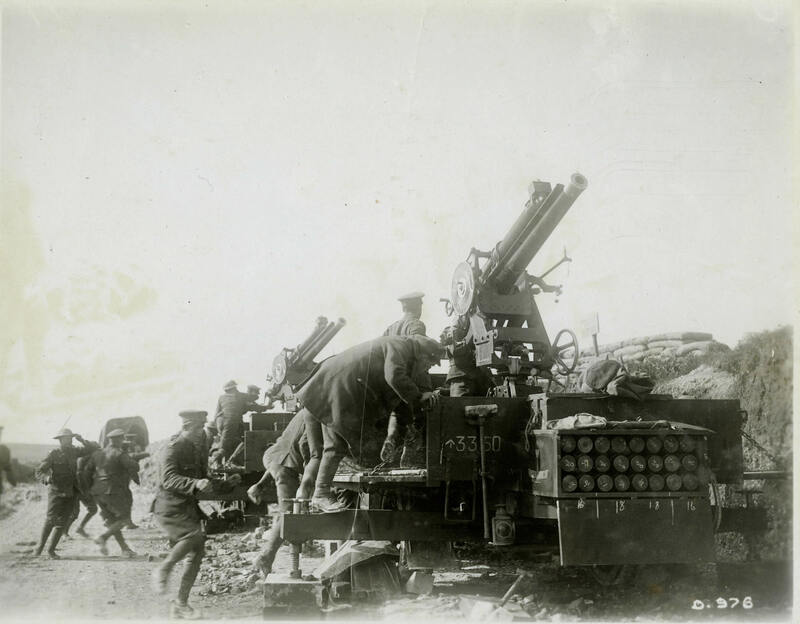 Because it was very difficult to hit a fast-moving aircraft, anti-aircraft guns were usually grouped together in batteries to fire en masse at particular sections of airspace. Most anti-aircraft guns were situated on stable platforms, but some were attached to trucks for greater mobility. This photograph appears to document the gun crew racing towards their guns, perhaps after spotting an aircraft above.